Fiji offers a haven where you can relax, get away from it all and recharge in the splendid isolation of the deep blue of the Pacific. At the crossroads of the Pacific, this is a place of white sand beaches fringed by turquoise seas, where nature lovers will be at one with their world and those seeking romance and tranquillity can escape from the pressures of life. Boasting 333 tropical islands, this South Pacific archipelago offers the ultimate island escape with its dazzling white beaches, sparkling turquoise lagoons, swaying palm trees and soft-coral diving. The bustling multi-cultural town of Nadi, on the island of Viti Levu, is the gateway and main hub for visitors. From here, it's about an hour's drive south to the well-established Coral Coast where golf, beach life and diving are all there for the taking. Nadi's Main Street is the centre of action with plenty of shopping and a wide range of places to eat and drink, no matter what your tastes or budget. Denaru Island, also on Viti Levu, is the largest integrated resort in the South Pacific, so if you want to splash out and be pampered, this is where you want to be! Boasting eight large resorts, stunning beaches and an 18 hole championship golf course along with a wide range of restaurants, Denarau Island has it all. A short causeway on the western side of Viti Levu leads to the private island of Yanuca, a timeless haven with glorious natural scenery. From Nadi, it's just a quick hop to the stunning Mamanuca Islands, a chain of 20 palm-fringed islands with vivid blue seas, gorgeous beaches and picturesque resorts. The islands are remarkably undeveloped and the focus is very much on relaxation with sunbathing on a secluded stretch of beach high on the list of must do's. Watersport enthusiasts will find parasailing, windsurfing, snorkelling, dive sites, some of the best surf breaks in the world and just about any other activity you can do on or below the water. Call and speak to one of our travel experts who have experienced Fiji personally. Nadi is approximately 24 hours from the UK including a stopover. 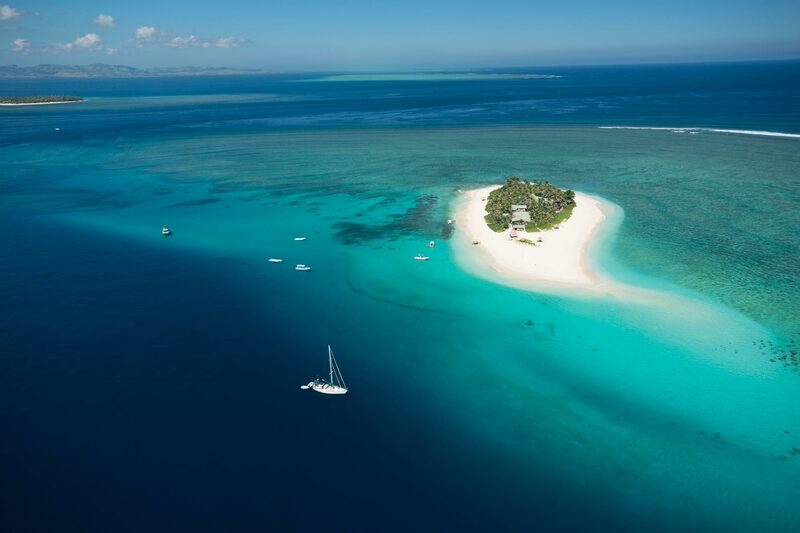 The Mamanuca Islands are around a 90 minute journey by boat or approximate 10 minute helicopter flight from Nadi. Fiji enjoys a warm tropical climate year round with minimal extremes. The dry season extends from May to October while December to April brings higher temperatures and a higher chance of rain.